A group of various designs of the Antwerp Bollart® (Who says A, must say Bollart® …) was selected as a structure of still life objects at the entrance of the Belgian-European pavilion of the World Expo in Shanghai which is designed by Christine Conix and her team, opening day 1st of May 2010, a location where an impressive 5.000 visitors per hour will wander by up to end October. 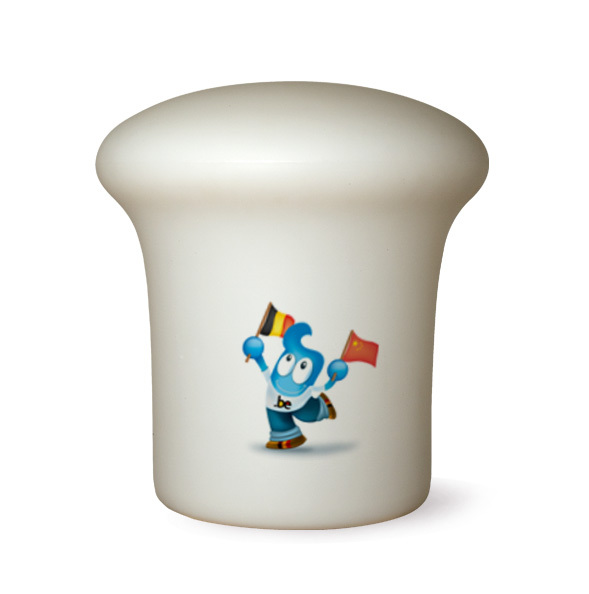 The Antwerp Bollart®-collection is therefore a perfect match with the theme of the World Expo: Better City, Better Life. After the Expo 2010 the Antwerp Bollart® designs will be exhibited as a permanent collection in the Museum of Belgium and the European Union, which will be established in China. With 70 millions visitors expected and more than 220 confirmed participants, Shanghai World Expo will be a record-setting exhibition. With the “Better City, Better Life” World Expo, China aims to bring the world a powerful example of sustainable and harmonious urban living. This theme represents a central concern of China and the international community for future policy making, urban strategies and sustainable development. Through different sub-themes, Expo 2010 will create blueprints for future cities and harmonious urban life styles, providing an extraordinary educational and entertaining platform for visitors of all nations.